Spring is in the air and despite the mornings and nights still being a bit cooler the warmer weather is just around the corner. One of the things I love about the warmer weather is the smell of gorgeous fresh mangoes. 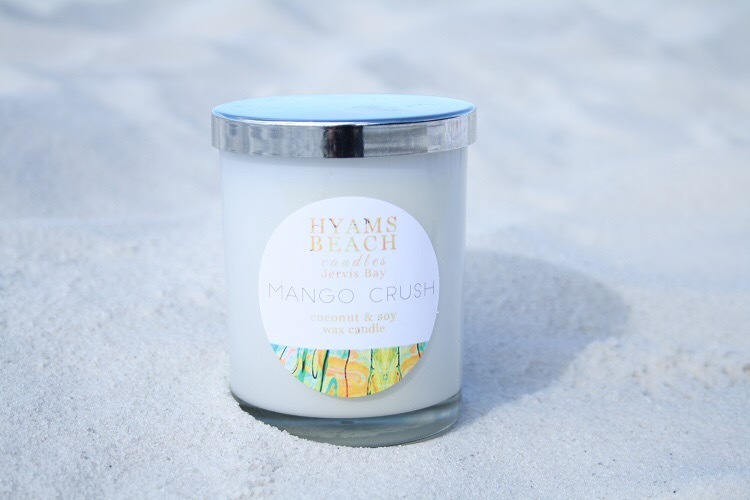 The smell never ceases to make me smile so when a new scented candle found its way to my desk, from my friends at Hyams Beach Candles, I was very excited to see they had managed to capture that beautiful mango smell. 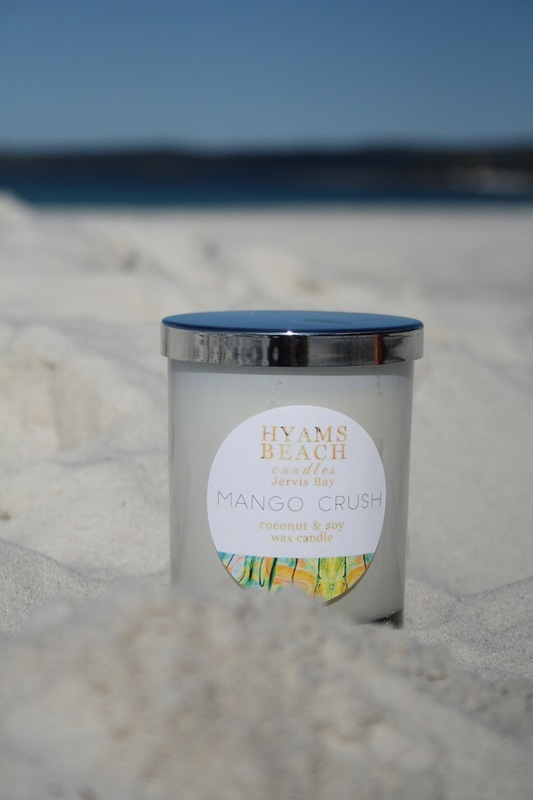 I’ve long been a fan of Hyams Beach Candles and I’ve raved through many a blog about how well they burn and the ambience they create. I’ve lived through winter burning all my fave scents; Berries and Bubbles, Vanilla and Rose Bud each bringing with them a warmth that floats throughout the room. With the warmer season now starting I was excited to try something new and fresh and from the first light I knew I’d found a new favourite in Mango Crush. The fragrance is fresh, happy and smells like you’re on holiday it’s a beautiful candle to burn during the day or as I do in the office. Even long after the candle had stopped burning the delicious fragrance lingers. 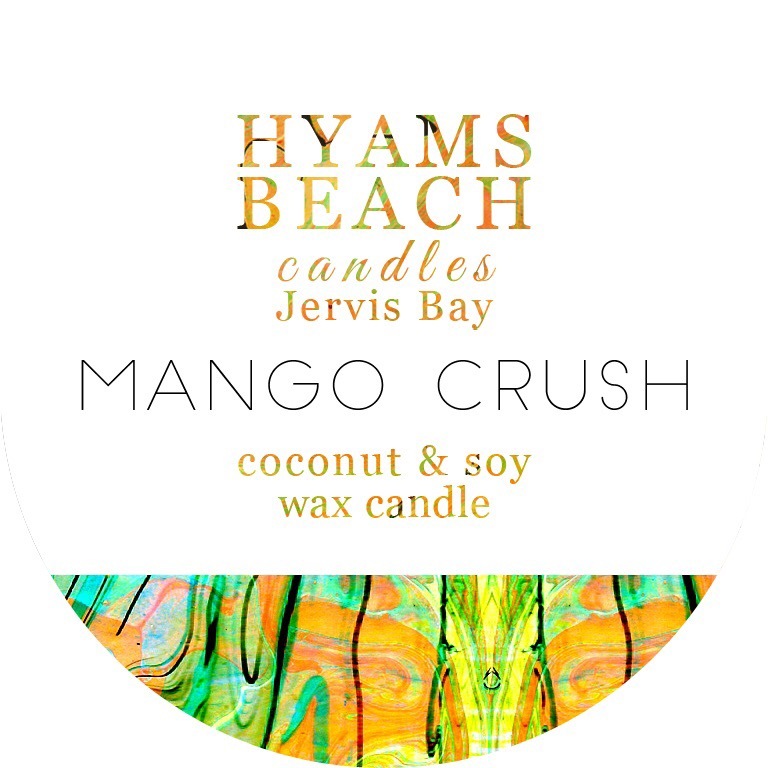 And just like all of Hyams Beach Candle range each candle is made with quality ingredients that you clearly spot the difference from other candles. The Soy Coconut mix burns beautifully and evenly and their candles last forever! Once you try a Hyams Beach Candle you will never look back, the quality is exceptional and will have you wanting to burn them all day long. For a chance to WIN simply share with you would like to add Mango Crush to your home? The judges will choose their favorite answer and announce a winner 16th of September. 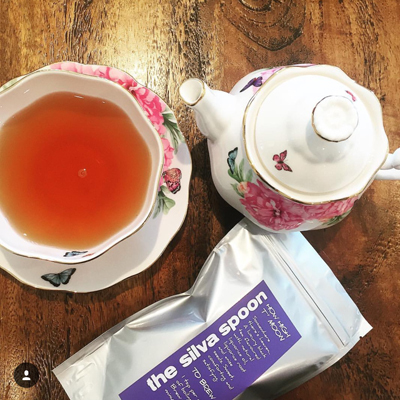 Intoxicating fruity smell of mango with notes of sweet musk, papaya and peach. The candles have a 40 hour burn time. Jars are white glass with shiny silver metallic lids. Artwork is by Peta Herbert’s original designs. 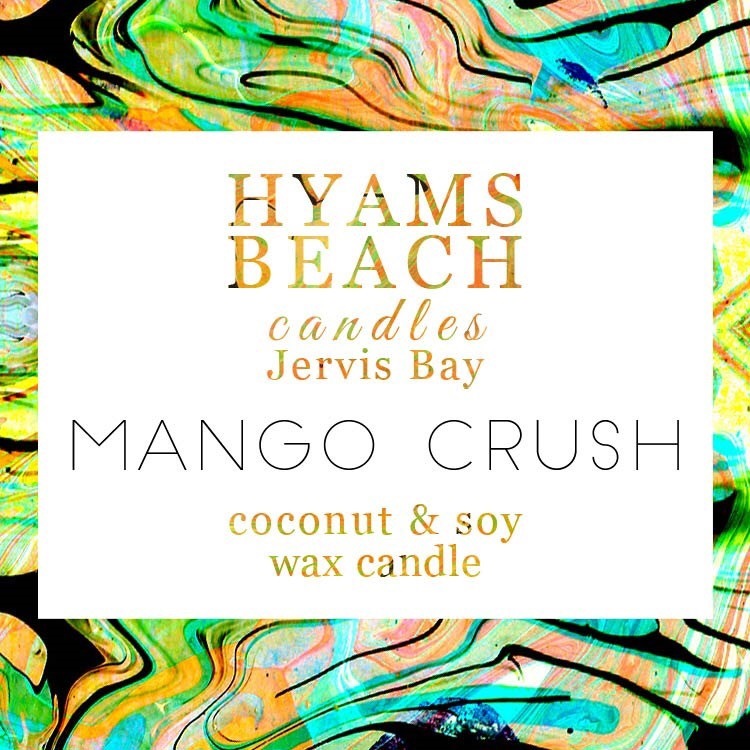 Hyams Beach Candles is located in Jervis Bay on the South Coast of NSW. With amazing aqua waters and the trademark “squeaky” beaches, Hyams is reported in The Guinness Book of Records to have some of the whitest sand in the world. While being inspired by this special scenery, our Beachy and floral fragrances provided the perfect backdrop for our candles and a Summer vibe all year round. With smell being one of the strongest senses, fragrance can evoke those special fond memories of fun in the sun, balmy beach days and times that made you feel kinda good. 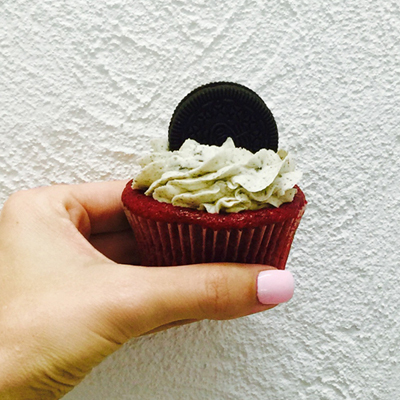 Who’s the winner that will be tickled pink with a Tastebuds Edible Bouquet ? Mmm. My All time summer time crush is a mango on a warm summers day! A Candle that can remind me of that sweet & juicy taste. Sounds Bliss! A bit of mango freshness in our family home would be the best way to celebrate the gorgeous season of spring! I’d love this candle, Mrs Tink! With three children under 6, a blissful bath (minus the bath toys!) with this flickering candle sounds divine! This sound like summer is a jar! 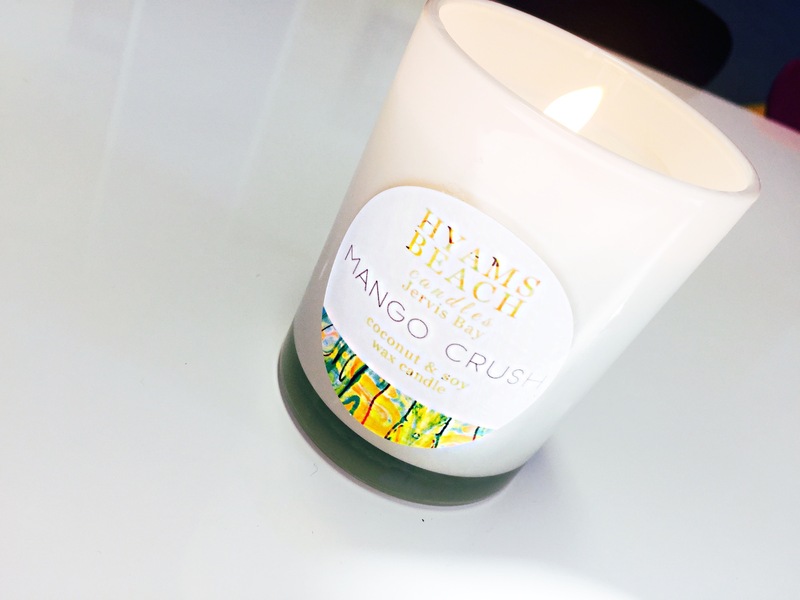 I love the scent of fruity candles and Mango Crush just sounds perfect! With saying that, I’m not allowed to burn candles on my room. (Mum thinks I will burn the house down) So it would have to be a gift to my Mum! Who doesn’t love mango? Mango weiss bars, fresh mangoes and everything mango scented is my absolute fave!!! As the weather is heating up this would be the perfect scent in my house. My only problem is that if it smells as good as you say, I’ll have to stop myself from seeing if it tastes any good! Come on, who hasn’t wished their scented lipgloss tastes as good as it smelt?